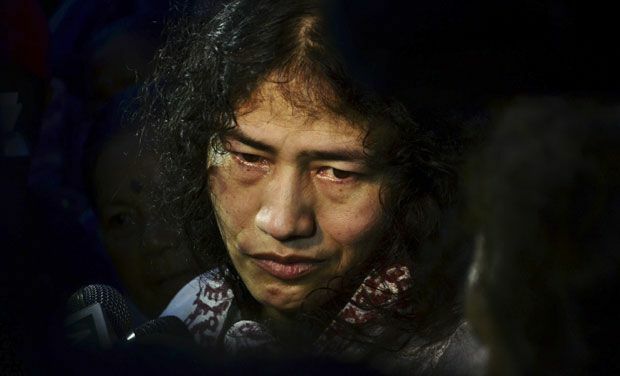 Irom Sharmila vowed in the year 2000 to not eat, drink, comb her hair, or look into a mirror till AFSPA was repealed. The Iron Lady staged the world’s longest hunger strike and was only alive because she was force-fed by police. She broke her fast in 2016 to contest elections from Manipur. She received only 90 votes. Even ‘None of the Above’ got more. This is how Manipur rewarded “the pride of Manipur”. What is the unbelievable result from Manipur? 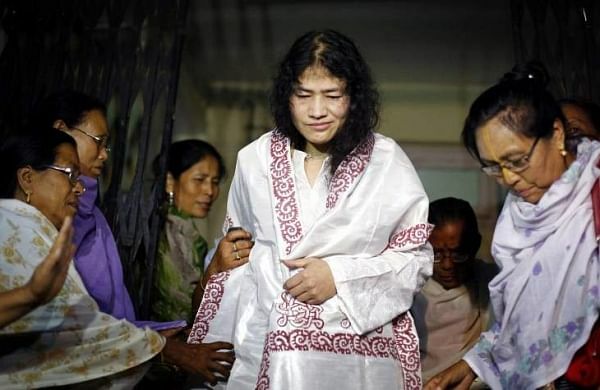 The Manipur assembly elections were special this year because human rights activist Irom Sharmila was contesting after 16 years of struggle and hunger strike against the Armed Forces (Special Protection) Act. When she ended her hunger strike in 2016, she announced that she wanted to repeal the law by contesting and winning in the state elections. But that’s far from what has happened; the people of Manipur have not put their faith in her. Sharmila was contesting on the Thoubal assembly seat against chief minister Okram Ibobi Singh. She got only 90 votes. In fact, there were more people who pressed the button for None of the Above (NOTA) on this seat – 143 – than those who voted for her. Ibobi won the seat after defeating BJP candidate L. Basant Singh by 10,400 votes. He received 18,649 and the BJP candidate 8,179. All India Trinamool Congress candidate on the seat Leishangthem Suresh Singh received 144 votes. Independent candidate Akoijam Manglemjao Singh got 66, putting Sharmila at the fourth position on the seat. Manipur appears to be heading for a hung assembly as none of the political parties managed to reach the magic figure of 31. Congress has secured 28 seats, while the BJP has won 21 seats. National Peoples Party and the Naga Peoples Front bagged four seats each, while Lok Jan Shakti Party won a seat. All India Trinamool Congress also managed to win one seat. The Armed Forces (Assam and Manipur) Special Powers Act was signed into law in September 1958, and was later renamed the Armed Forces (Special Powers) Act (AFSPA). It authorizes the central government and heads of states and Union Territories to declare the regions they govern to be "disturbed areas." The act gives armed forces extarordinary powers, including immunity from legal action, and the licence to shoot to kill and arrest people without obtaining warrants Human rights activists have criticized the army's alleged misuse of the act's provisions, and have called for it to be repealed. “None Of The Above,” or NOTA for short, is an option designed to allow the voter to indicate disapproval of all of the candidates in a voting system. It is based on the principle that consent requires the ability to withhold consent in an election, just as they can by voting “No” on ballot questions. Why can Sharmila's loss make us lose faith in democracy? Manipur’s iconic activist Irom Sharmila on Saturday announced she is quitting electoral politics, barely a few hours after her debut polls ended in a debacle. “I don’t feel ashamed of my defeat but am fed up of elections and won’t contest again in future,” Sharmila told. For 16 years, Sharmila was a role-model for the people of Manipur, a fearless activist who staged the world’s longest hunger strike against what is widely seen as a draconian law. Her decision to contest the 2017 assembly election against the Congress chief minister was billed as the battle to watch out for this poll season. On Saturday, the battle emerged as a no-contest as Sharmila, 43, managed just 90 votes to hand, probably, one of the easiest electoral victories for the Congress leader. “It was not the result I expected. During electioneering, all the masses whom I met were sympathetic to my cause. But they ended up voting for others, due to their selfish motives,” Sharmila said. The fact that she got such few votes despite rooting for a cause that resonates almost with every voter is bound to affect people’s faith in democracy. Though she has quit her hunger strike, she has not wavered from her primary aim: to rid her state from the AFSPA. She had been told by many well-wishers, and politicians that the best way to achieve her aim was to fight for it democratically. No one running in these elections, across all states, would have had a motive as selfless as Sharmila’s. No one would have suffered more than her. For 16 years, Sharmila was willing to give her life for Manipur. Manipur was not willing to even give her 100 votes. When did Sharmila’s struggle begin? Often called the Iron lady of Manipur, Irom Sharmila is the youngest of nine siblings. She wanted to be a doctor but chose to be a rights activist to wage war against the armed forces special powers act (AFSPA) that allegedly gives soldiers the “licence to kill”. Sharmila was born in 1972 in a small village and was 28 when she began her fast on 4 November, 2000, two days after Assam Rifles personnel gunned down 10 people, including teenage students on way to tuition classes, at Malom near Manipur capital Imphal. She has since become the face of the anti-AFSPA movement in Manipur and elsewhere in the country, easily recognisable from her free-flowing curly hair and a feeding tube stuck to her nose. Sharmila had been in the custody of Imphal’s Sajiwa Central Jail but spent her time in the city’s Jawaharlal Nehru Institute of Medical Sciences. At least 40 persons, including five doctors, 12 nurses and three policewomen, used to ensure she got her injections of nutrients through the nasal tube. After her first arrest in 2000, Sharmila has been released and rearrested several times for attempt to commit suicide, which is still a crime in India. [The Rajya Sabha recently passed a bill that decriminalises suicide bid. The bill now needs approval of the Lok Sabha]. Sharmila is an author and poet in her native Meiteilon language. Among her literary works is Fragrance of Peace – a collection of 12 poems of “passion, protest and hope” that she wrote before starting the marathon fast. Sharmila took her protest to New Delhi in 2006 where she and other activists began fasting at Jantar Mantar. She was arrested but her hunger strike got international attention and members of the European parliament wrote to the Indian government seeking changes to Afspa. Sharmila has received several prizes. They include the Gwangju Prize for Human Rights in 2007, a lifetime achievement award from the Asian Human Rights Commission and the Rabindranath Tagore Peace Prize, both in 2010. Amnesty International declared her a ‘Prisoner of Conscience’ in 2013. The activist’s personal life began to affect her public life after Desmond Coutinho, a British citizen of Indian origin, met her in the hospital in March 2011. Sharmila and Coutinho, then 48, had been exchanging letters since 2009 and after their meeting, Sharmila said he loved her. This did not go down well with many in Manipur who believed Coutinho was planted by the government to wean Sharmila away from the anti-AFSPA movement. On 26 July 2016, Sharmila surprised her supporters by deciding to end her fast, join electoral politics and get married. Where could be the reasons for her loss? There are basically three factors behind her defeat. She lost mass support by ending her fast and contesting elections. In a State that has some 1,500 cases of extra-judicial killings, she was the face of the movement against AFSPA. So, when she ended her fast, people perceived it as the end of the movement. Her popularity also fell after her plans to get married to Goa-born British national Desmond Coutinho, whom her supporters have always accused of diverting her fight against AFSPA. She had plans to tie the nuptial knot after the polls but Desmond recently said the marriage would not take place before 2019 (Lok Sabha) elections. The third is her inexperience in electoral politics. Ibobi is a seasoned politician and given his influence over voters, Sharmila’s defeat was a foregone conclusion. The chief minister had guided his party to power for three terms on the trot. He himself won the last polls from Thoubal by huge margins. Ibobi won the polls defeating his nearest rival Leitanthem Basanta Singh of BJP by over 10,000 votes. Another reason could be her party PRJA’s low-key poll campaign. The party, which fielded just three candidates, fought the polls with less than Rs.3 lakh. There was a perception among people in Manipur that she would not even be able to give Ibobi a fight, let alone win. Who said what about her defeat? There were quite a few who sympathetic to the activist-turned-politician and said that “Manipur doesn’t deserve her”. Few also alleged that the monetary help taken from AAP’s Arvind Kejriwal too angered the people, as “no one likes Kejriwal”. Her shocking 90 votes left the Twitterati baffled as many failed to comprehend how such a ‘true’ candidate loses when politicians with criminal backgrounds win with great margins. How has AFSPA impacted the life of people in Manipur? The Armed Forces (Special Powers) Act of 1958 (AFSPA) is one of the most draconian legislations that the Indian Parliament has passed during its 70 years of existence as an independent country. It is a modified version of an old British colonial Act. Under section 4 of the AFSPA Act – All security forces are given unrestricted and unaccounted power to carry out their operation; once an area is declared disturbed, even a commissioned officer, warrant officer, noncommissioned officer or any other person of equivalent rank in the armed forces may, in a disturbed area, shoot, arrest, and search, all in the name of "aiding civil power." The army can shoot to kill; the army can enter and search without a warrant, can destroy property and arrest anyone it chooses- without a warrant. Under section 6 - no legal proceeding can be brought against any member of the armed forces without the permission of the central Government. Manipur has been beset by insurgency ever since it was formed in 1949. The fault lines that existed during colonial administration by the British got accentuated post-independence. At one time, there were more than 30 rebel groups, chief among them being the Nagas. AFSPA was imposed in Manipur in 1980 as it had been declared a “disturbed area”. Insurgency has to be put down with a firm hand within the provisions of law. One cannot tie the hands of the security forces and then ask them to fight armed militants. However, due to AFSPA, all good actions of the force get nullified with one wrong action. The law is not defective, but it is its implementation that must be managed properly. In a landmark judgment in July 2016, the Supreme Court of India severely criticized AFSPA as “symbolizing a failure of the civil administration and the armed forces”. The court was hearing a petition filed by hundreds of families against alleged fake encounters by the army and police forces over the last 20 years. It would be a mistake to interpret Sharmila’s loss as the acceptance of AFSPA by the people of Manipur. AFSPA has to go and be replaced by a more humane and just law.